Thinking of a time continuum. “Myths which are believed tend to become true” (George Orwell). Myths are difficult to reframe, too, regardless of retraction. Father Richard Rohr, Center for Action & Contemplation, continues to refer to Jesus’ humanity and the radical action/compassion component of his journey, an idea Richard teachers in his daily newsletters. And Mary, for me, personifies this. It gives hope that we, as part of various church families, can start to incorporate Mary’s contributions. 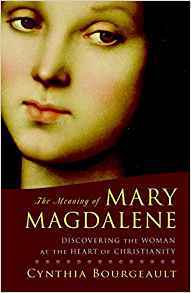 I think of Cynthia Bourgeault’s [The Meaning of Mary Magdalene] suggestion that Passion Week begin with Mary’s anointing of Jesus, and, again like Cynthia makes mention, doing this simply by including the passages in the Canonical Gospels of the NT, not needing reference to the Gnostic gospels, or Gospel of Mary (although I would absolutely include). A beautiful film released in 2018 is now available on DVD, although, not in the U.S. Mary Magdalene, with Mara Rooney as Mary, and Joaquin Phoenix as Jesus, is exemplary. I was able to order a copy…long wait…with only one being available. When it arrived, I discovered my DVD player wouldn’t adjust to the ‘region change’, being from a different country, however I was able to make the adjustment on an old lap top and view it on that device after changing the code. I loved this film on so many levels…writing, history, pacing, editing, cinematography, direction, costumes, score, acting. I know I will return to it again and again. I hope you get a chance to see it. This is a message needing to be heard. The movie was to be distributed in the U.S. by Harvey Weinstein’s Company. After the fallout, the release was put on hold. 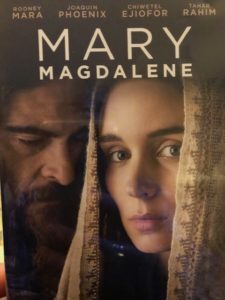 Some kind of strange symmetry that it was Weinstein who kept Mary Magdalen’s message from being released in this country. Some articles I’ve read recently suggest the film may still have a theatrical release in the U.S. Another of Weinstein’s films, The Upside, was finally released recently, after a long delay. So there is hope this film will have a wider audience here. I recommend this book as a companion piece. “You embrace what deceives you. Consider these matters, then with your spiritual intellect […] Find contentment at the level of the heart, and if you are discouraged, take heart in the presence of the image of your true nature” (Bauman, Bauman & Bourgealt, 2008, p. 66).